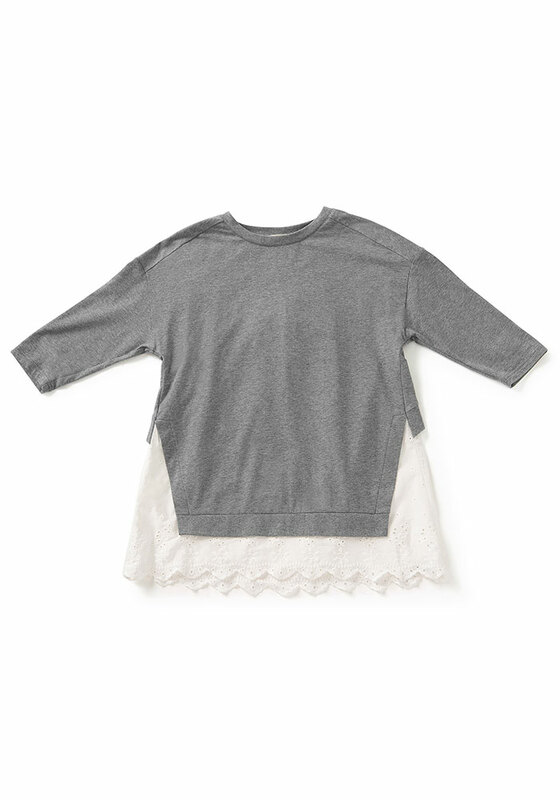 This top is so dreamy. We love the eyelet details, designed by Maggie, and the ribbon bow on the back! 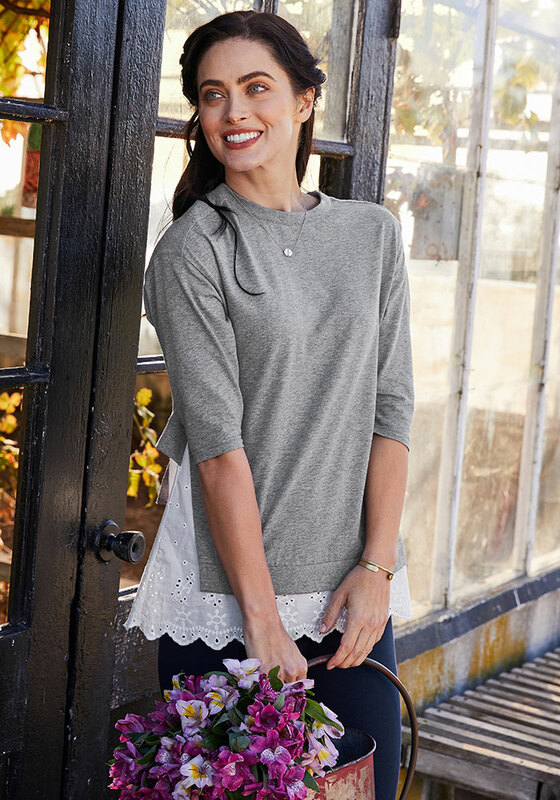 This top is comfortable with the sweatshirt-like top and cute with the sweet, feminine hem.